Soundwave was one of the most popular Transformer from the original Hasbro line and it has become a tough action figure to come across today. This Transformer was only available in a gift set and was a combination of five other techno-bots (Scattershot, Afterburner, Lightspeed, Nosecone, and Strafe). Kamala's trademark is a moon painted on his stomach. However, when Hasbro released the figure, it had a yellow star. It's rumored that only 24 of the moon belly version exist. This 1984 action figure was the first production of Optimus Prime and it is nearly impossible to find in its original box. This prototype was never sold on toy store shelves, instead it was auctioned off. 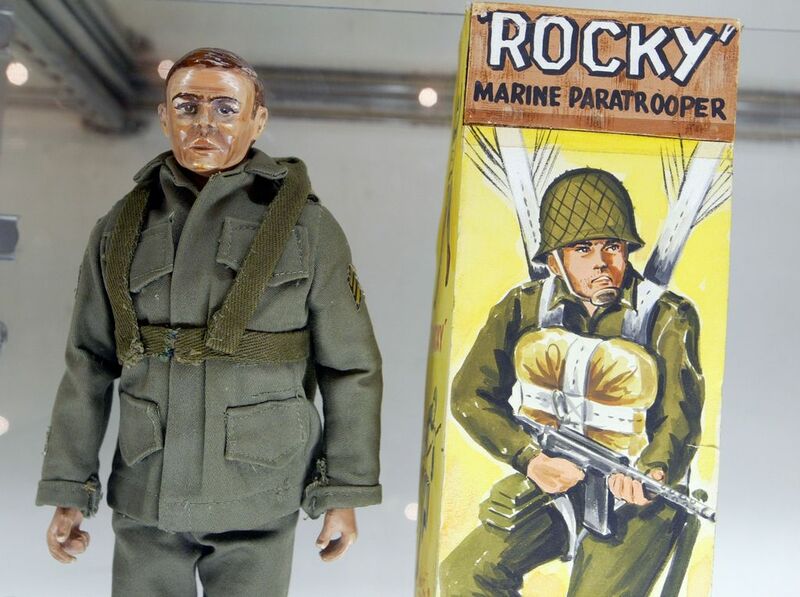 It was the world's first action figure and the first time a doll was marketed to boys.